Notes (only in "Relationship Mode"). The application can be run from Outlook or alternatively as a typical application (click on the program icon). According to the current state of development, it offers the greatest possible data integrity in the data synchronization process. Furthermore, the helpful functions of a recovery and renewal mode are also provided. When using the "Relationship Modes" (use of an XML database), the database can be optimized. It is expressly understood that the user of this application first reads the documentation carefully. This is to ensure that all program functions and possible impassibilities are understood. 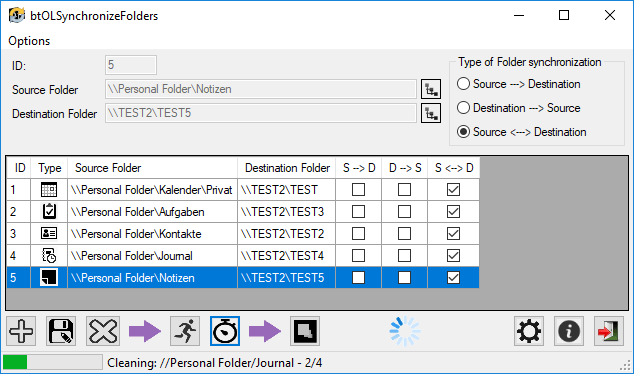 Intuitive operation allows quick creation of folder pairs for data synchronization.